Link back to Malaspina Global Portal. This student research database contains 1021 custom entries or records. Each record offers research material organized under the three page navigation headings: Biographical Material, Great Books and Detailed Library Search, and a standardized 485 pixel wide Representative Image. The links below provide custom lists of records from our Great Books database. The records in each list connect by theme, category, discipline or time period. The records in this database are helpful for student activities ranging from essay writing to graduate research. We include short (and long) biographies, Lectures and Powerpoint Presentations (linked through many key ideas), and links to customized searches of three of the world's great libraries: the Library of Congress; the UK academic library COPAC and the National Library of Canada. We also provide product links from Amazon (US), Alibris (used books) and others. 2006 LBST Student Address: It's All Good! McLuhan: Is the Medium Still the Message? Old Testament: "Song of Songs"
Old Testament: The Book of "Job"
Twain: Is Huck Finn a racist Book? 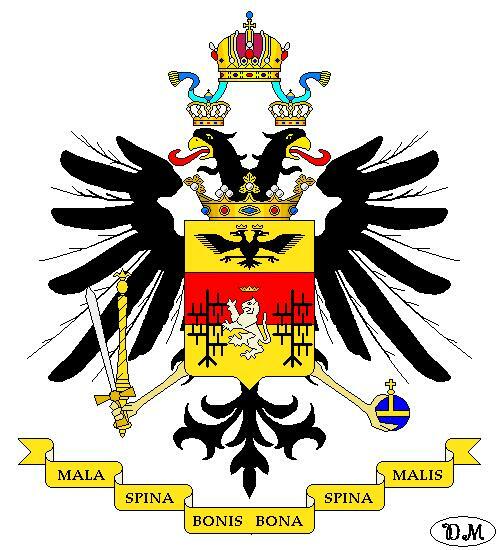 Link to Malaspina Family Coat of Arms (Mulazzo) with Latin motto: "Malaspina Bonis Bonaspina Malis"